a growing together of parts originally separate. 2. In dentistry, the union of the roots of two adjacent teeth by cementum. 1. a growing together of parts originally separate. 2. in embryology, the flowing together and piling up of cells. 1. Biology The growing together of related parts, tissues, or cells. 2. The amassing of physical particles. 1 a growing together; a union of parts originally separate. 2 (in embryology) the flowing together and piling up of cells. 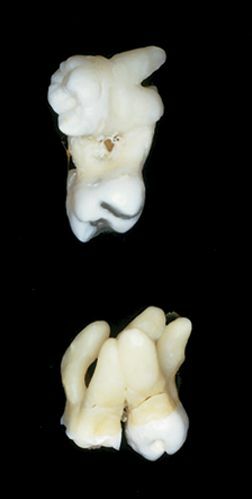 3 (in dentistry) the union of the roots of two adjacent teeth by a deposit of excess cementum. 2. dentistry The union of the roots of two adjacent teeth by cementum. In dentistry, the union of the roots of two adjacent teeth by cementum. 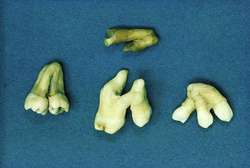 n the union of two teeth after eruption, by the fusion of their cementum surfaces. Mesle (1993) suggests that Jesus' ministry exemplified a continual acceptance of God's call to concrescence, evidenced by stories of love, sensitivity, truthfulness, and transformation. A more cogent explanation of the process of concrescence, however, is afforded by Epperson (2004), who relates each stage to quantum physical developments. The concrescence of the many acts of prehending into the one actual entity which is an experience of the entire universe as actual and possible from that unique place in space time, gives rise in Whitehead to two types for process One is the temporal transition from actual occasion to actual occasion, and within an actual occasion, the other is the process of concrescence, the becoming of the actual entity, and this process is not a temporal process. The second half of the paper then draws upon Whitehead's concepts of occasion, prehension, and concrescence in order to apprehend the materiality of Tong Zi Dan, which, as a processual event, is never exhausted at an instant. Four of them specify the basic constraints upon concrescence required for it to result in any determinate outcome whatsoever. Jones argues convincingly that an actual occasion in its process of concrescence aims at a subjective unity of the feelings derived from "prehension" of antecedent actual occasions. In other words, it is the work of infrastructuring that suffuses and furnishes a 'right' with political concrescence in the first place--infrastructuring calls worlds and rights and Campos into existence. Lango, "The Time of Whitehead's Concrescence," Process Studies 30 (2001): 3-21.
proposes that God no longer be conceived as an actual entity, different from finite actual entities only in its reverse process of concrescence. 91) See Arran Gare, "Human Ecology, Process Philosophy and the Global Ecological Crisis", Concrescence, 1 (1), 2[degrees][degrees][degrees]: 1-17, http://researchbank. His transformation of process theism involves jettisoning Whitehead's notion of God's primordial nature and reconceiving God as pure everlasting concrescence, indeed, as future activity. One thinks immediately of Whitehead's notion of a divine initial aim which guides the concrescence or progressive self-constitution of an actual occasion of experience.